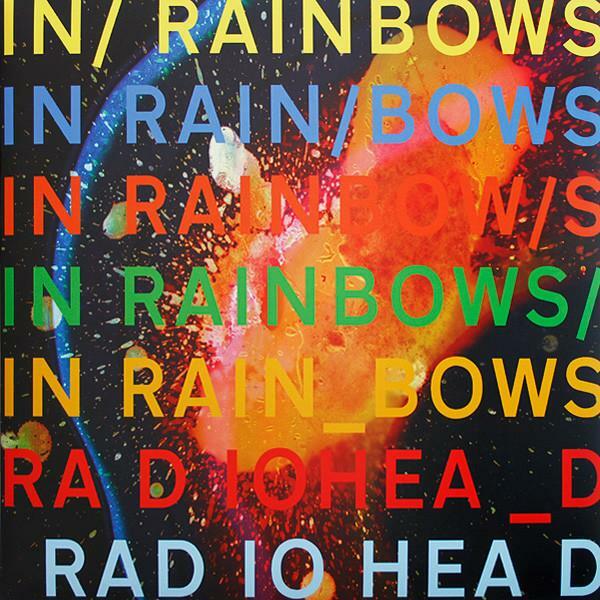 Initially issued in October 2007 with little prior notice, Radiohead’s seventh full-length studio outing, IN RAINBOWS, took not only fans but the entire music industry by surprise. Released for a limited time only as an online download, the album was offered by the revered British rock group in a groundbreaking “pay what you want” format, allowing the listener to decide its digital value before an appearance in conventional CD form a few months later. Radiohead’s 2007 album reissued on 180-gram vinyl LP! Most bands I know would be over the moon to secure a record deal, but not Radiohead - just the opposite it seems. In celebration of the termination of their contract with EMI, the normally glum Oxford quintet have released an album that is beautifully sparse, upliftingly melodic and at times even … happy. Treading boldy between avant-rock and avante-pop, In Rainbows is a wonderfully minimalist contruction. Every piece has purpose, from the piano-synth bassline of ‘All I Need’ to the brilliantly contained rock guitar line that propels ‘Body Snatchers’, the band have trimmed everything extraneous or gratuitous. Over the top floats Thom Yorke’s vocal, with scattergun lyrics that pop in and out of focus like flicking through a notebook or catching a conversation on a tram. Famously released online, the album is now available to buy on CD, with artwork that shows once more that the band’s attention to detail goes well beyond the music. Another Radiohead album, another masterpiece … it would be boring if they weren’t all so good.